Hi there! 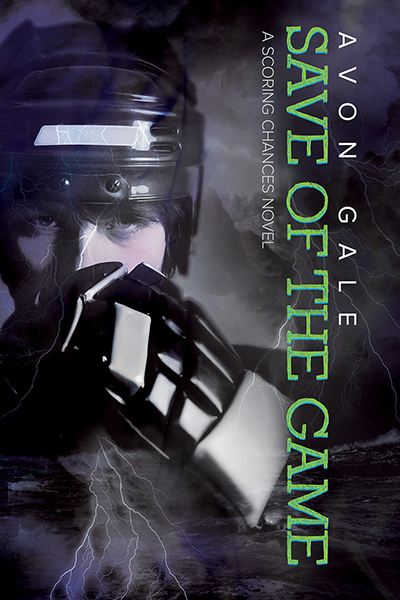 I’m so excited to share my review of a fantastic contemporary M/M hockey romance from Avon Gale. SAVE OF THE GAME features a focused and lonely goalie and the brash and loyal enforcer in a gay-for-you romance that blows the doors off this subgenre. 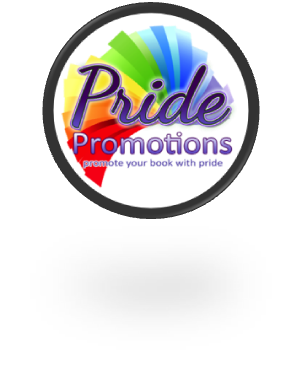 Both Riley and Ethan are bisexual, as they learn when their friendship becomes…more. It’s the second book in a series, and fully enjoyable as a standalone. Check out the excerpt and get in on the giveaway below! Ethan has no hesitations. As fearless as his position demands, he rushes into things without much thought for the consequences.Though they eventually warm to their passionate new bond, it doesn’t come without complications. While trying to financially help Ethan, Riley must hide his family’s wealth so as not to hurt Ethan’s immense pride. For their relationship to work, Ethan will need to learn when to keep the gloves on and let someone help him—and Riley will have to learn it’s okay to let someone past his defenses. This is the second book in a series, but is fully enjoyable as a standalone. Riley and Ethan are teammates in Jacksonville’s ECHL (semi) pro hockey team, The Sea Storm. East Coast Hockey League is the equivalent of AA baseball, it seems. These guys play for love of the game, and in the hope of getting lifted into the AHL, and maybe one day, but probably not–the NHL. Riley’s a goalie, it’s his life’s ambition, and he loves it. He’s worked hard and trained all off season to be better than ever, and he’s in peak condition. This is a gay-for-you romance between two newly bisexual hockey players. Both Riley and Ethan have never been with a man, but their close friendship allows for an even closer bond to develop. At first, it’s a surprise, with kisses and some petting, but this quickly escalates to far, far more. I’ll be honest, I was captivated watching them explore their completely new sexual desires. They have lots of questions and concerns, which they face together. In the end, they decide to take it as far as it will go, and that’s pretty dang far, yo. The slow burn was so delicious, and this one’s all about the feels. Riley’s life has been heavy on money, light on love. Ethan’s family has always struggled financially, but overflows with love. Riley’s practically adopted by Ethan’s rowdy sisters and straight-shooting mother the first time they meet. I really enjoyed seeing him be adored by someone. This book spans a season filled with ups and downs, and more winning than losing. There are some incendiary sexytimes, and the love story is sure to please. I wanted it to never, ever, end. Good thing it’s an HEA. I expect we’ll get peeks of these two in further books in the series, as there are some decent cameos of the couple from book one, BREAKAWAY, in here. Interested? You can find SAVE OF THE GAME on Goodreads, Dreamspinner Press, Amazon, Barnes & Noble, Kobo and AllRomance. Click on this Rafflecopter giveaway link for your chance to win one of TWO copies of SAVE OF THE GAME. You can find Avon on Facebook, twitter, Pinterest or sign up for her newsletter. One of my most talented students at the moment is a hockey player. Such a macho world they live in, no doubt an interesting backdrop for this story.